Middle East Perspectives by Rick Francona: Did I miss the "crippling" sanctions on Iran? Iran is developing a nuclear weapons capability. Whether they are merely acquiring the capability to develop a nuclear weapon at will or actually building one is up for debate. I don't put much stock in the distinction, although some of the members of the current administration think it is significant. It is like having an unassembled shotgun. Until you put the barrel assembly onto the chamber mechanism, it's not a fireable weapon. To me, it is still possessing a shotgun. Even the President now concedes that Iran is developing nuclear weapons, despite over one year of attempting to "engage" the regime in Tehran. The effort has been either outright rebuffed or deftly deflected, but the bottom line is that the Iranians have been more successful at their foreign policy than we have. 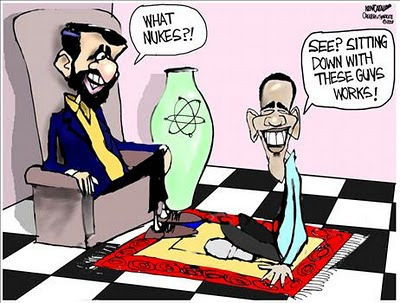 It has been over eighteen months (November 10, 2008) since then President-elect Obama said, "Iran's development of a nuclear weapon, I believe, is unacceptable and we have to mount an international effort to prevent that from happening." So began the "engagement" of Iran. During that so-called "engagement," no meaningful sanctions have been applied - Iran still continues to enrich uranium above the levels it needs for peaceful purposes, and continues to expand its nuclear research and development facilities. A year after that statement in November 2008, it became apparent to even the Obama Administration that Iran has no intentions of compromising on its nuclear ambitions, despite numerous overtures from the rest of the world. On November 19, 2009, President Obama said a new package of punitive steps will likely be developed "over the next several weeks." That was six months ago - I am not sure of the administration's definition of "several weeks." Obviously the President is concerned - he keeps talking about sanctions in the next few weeks. On February 9, he said the new push for sanctions on Iran was "moving along fairly quickly" and should be completed in the next few weeks. He reiterated that seven weeks later, saying on March 30, "My hope is that we are going to get this done this spring. So I'm not interested in waiting months for a sanctions regime to be in place. I'm interested in seeing that regime in place in weeks. " Obama's statements in April echo the determined rhetoric. On April 8, he said, "We’re going to start seeing some ramped-up negotiations taking place in New York in the coming weeks, and my expectation is that we are going to be able to secure strong, tough sanctions on Iran this spring." 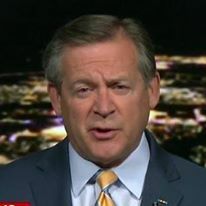 That was followed a few days later with, "I want to see us move forward boldly and quickly, to send the kind of message that will allow Iran to make a different calculation," he said. I'm sorry, Mr. President, Iran has made the right calculations all along - they have taken stock of your willingness (or lack of) to take effective actions, be that sanctions, an embargo, a blockade or a military strike, and found that all you have are words. They don't think you have what it takes to marshal the foreign policy tools available to the President of the United States and the Commander in Chief of the U.S. armed forces. Unfortunately, I have to agree with them. It does not appear that the promised "biting" and "crippling" sanctions are likely. Assuming there is a fourth United Nations sanctions protocol, it will be so watered down that it will have more of the same effect the first three rounds have had - none. The problem is that your Secretary of State cannot deliver the Russians or the Chinese - being permanent members of the UN Security Council, either can veto sanctions. This failure despite Mrs. Clinton's embarrassing attempt to present her Russian counterpart, Sergei Lavrov, with a "reset" button. I hope that disaster is not indicative of the caliber of diplomats we have at the State Department - it is obvious their linguists could use a refresher course or two. Instead of effective, hard-nosed diplomacy, what we see the administration doing is trying to work backroom deals which exempt Chinese and Russian companies from any unilateral American sanctions. They hope to get a resolution with the appearance of sanctions through the UN - any sanctions, just so the White House can say, "Yes, we can." The biggest issue is Chinese reluctance to anger their Iranian oil suppliers by supporting effective sanctions. We still see the optimistic - and misleading - rhetoric. On April 22, Vice President Biden said that China will sign on to new United Nations sanctions. Just yesterday, the Secretary of State announced "good progress" in gaining Chinese support for sanctions. I suspect all the Chinese are doing is agreeing to talk. I think the Iranians may have learned that tactic from the Chinese. It gets better. Mrs. Clinton's "reset" buddy, Foreign Minister Lavrov, just warned the European Union and the United States that unilateral sanctions are contrary to United Nations policy. This comes at the same time the Russians, not content with supplying a nuclear reactor to Iran, are negotiating the sale of reactors to Syria and Turkey. Where's that reset button again - and how's that Iran engagement policy working out so far?